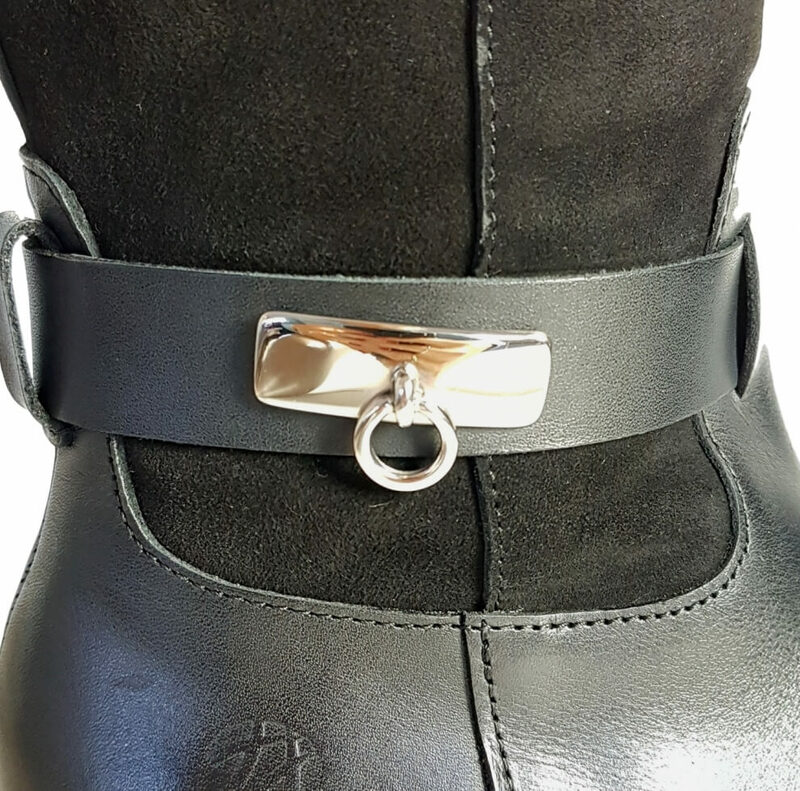 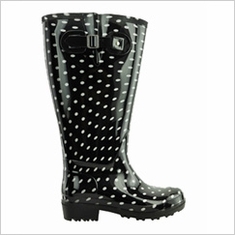 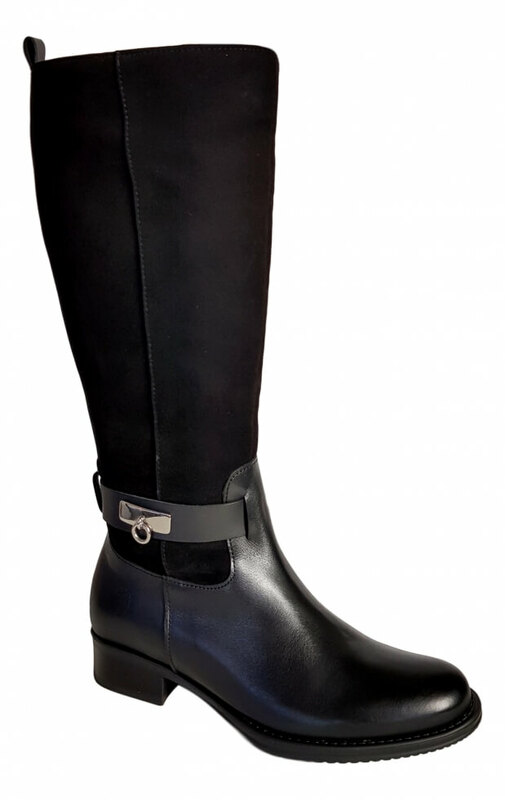 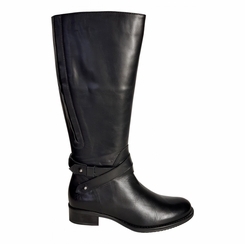 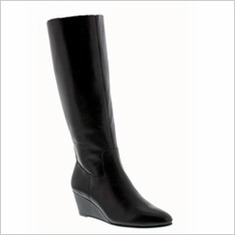 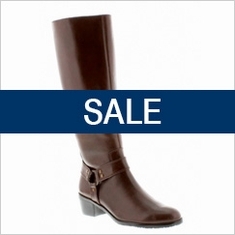 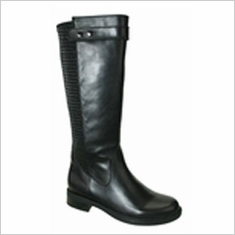 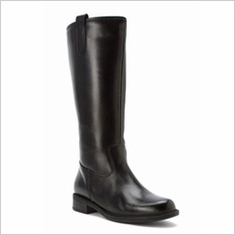 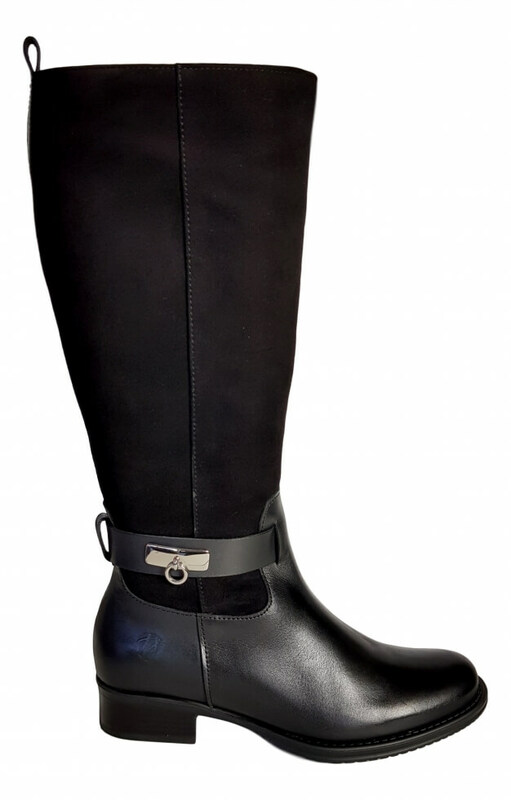 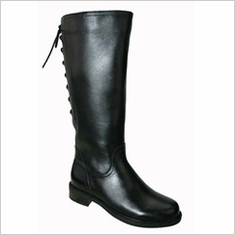 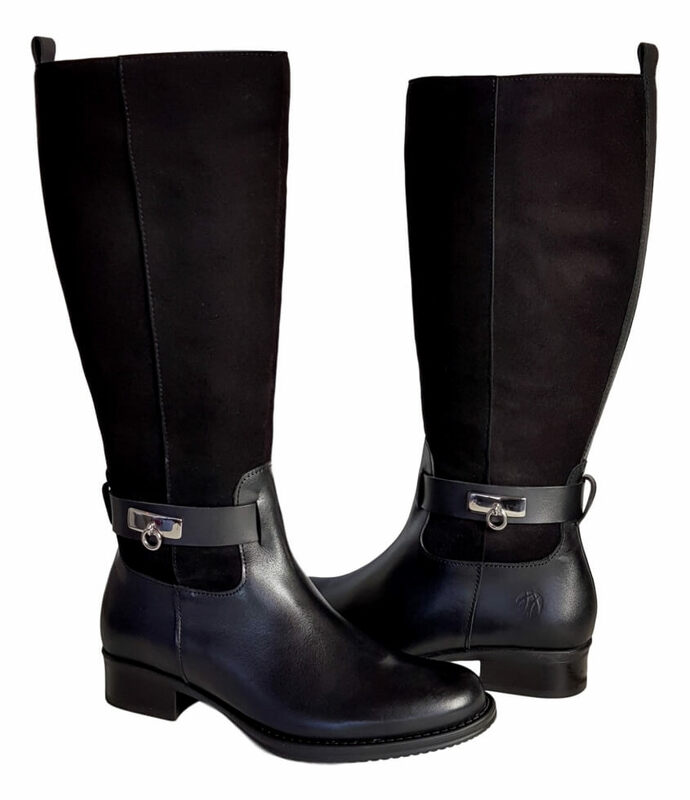 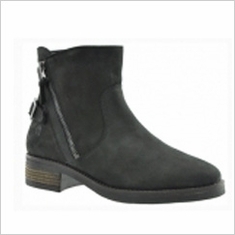 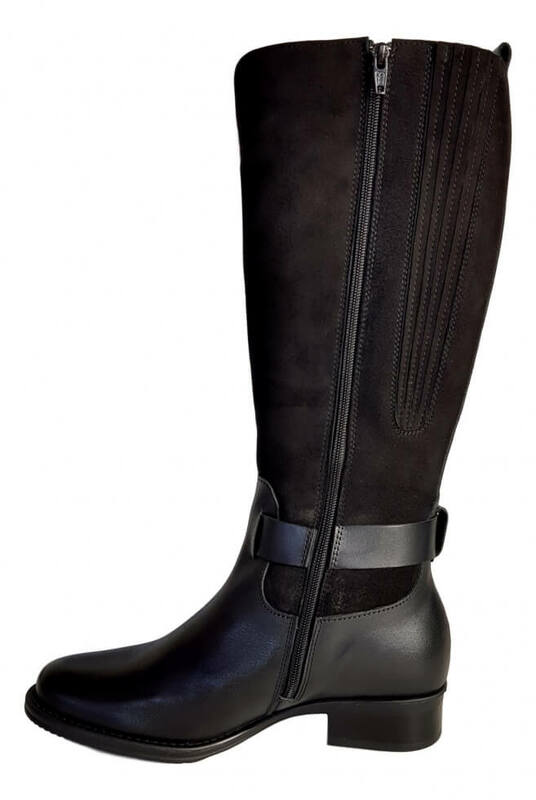 The Cheddar is a wide-shaft ladies boot from JJ Footwear available in black and ocean. 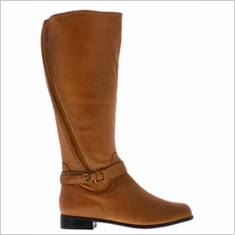 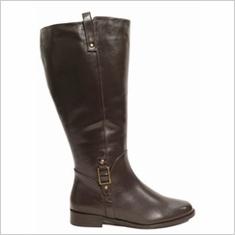 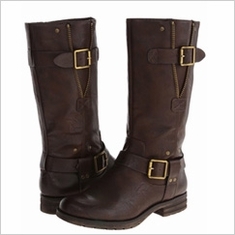 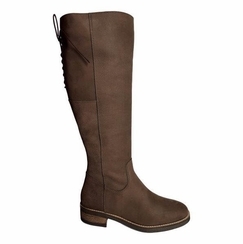 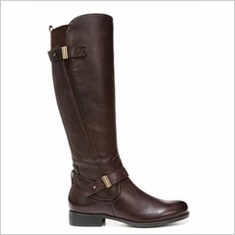 This women's boot is a combination of smooth leather with a suede upper. 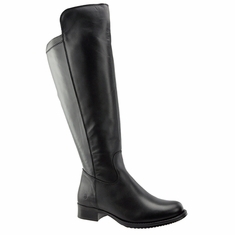 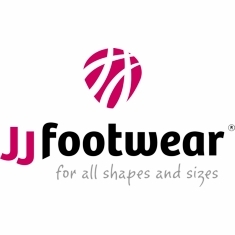 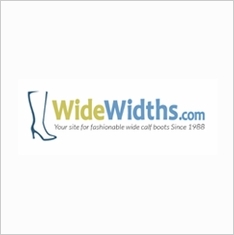 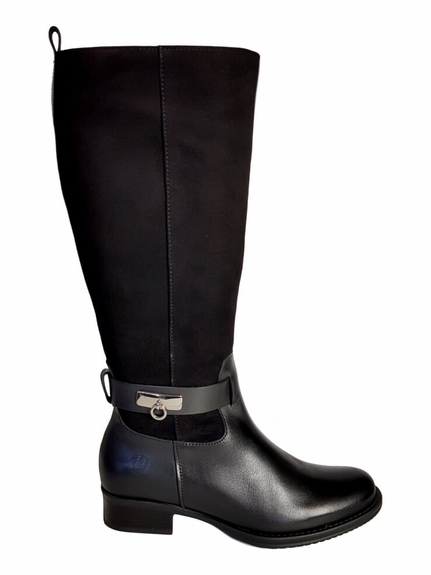 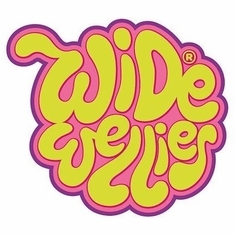 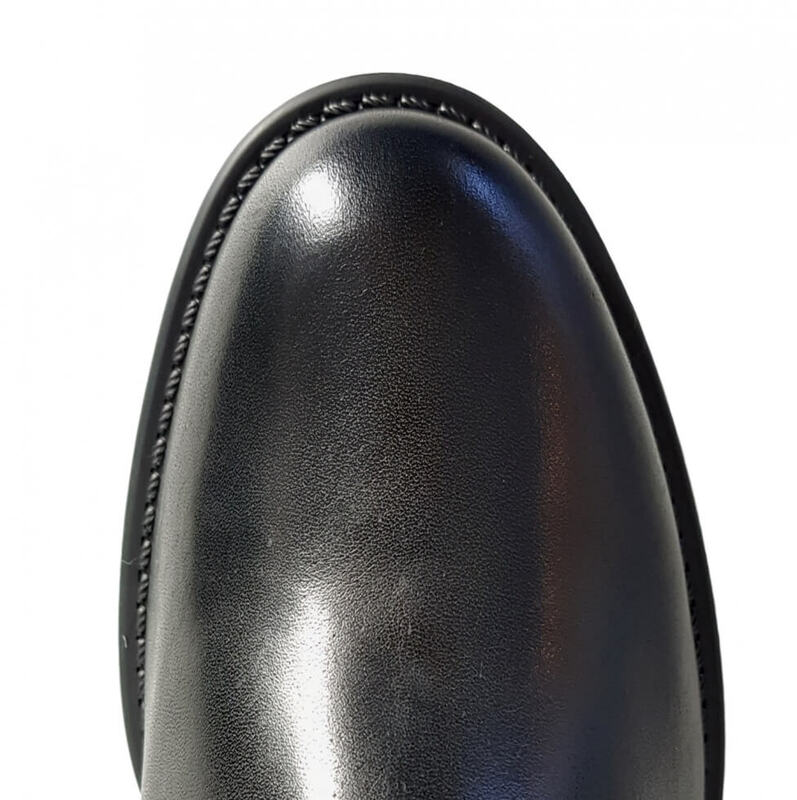 The Cheddar has a flexible non-slip sole and can be worn as a ladies boot with a wide shaft. 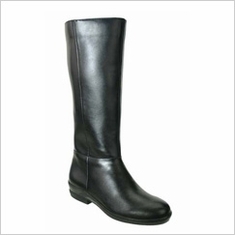 Height: 15 - 16 1/2"